Sporcle's got nothing on this quiz: Why couldn't Rob Murphy come in to pitch in the eighth inning? I have like 5 of this card. I've been saving them for a savage bipping. 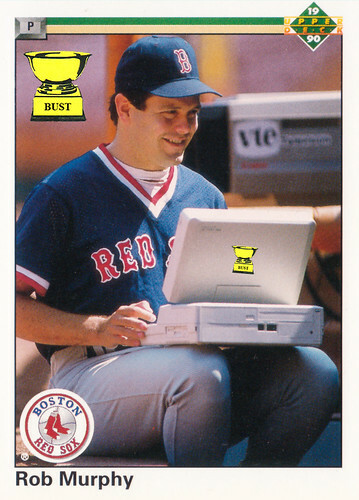 Also, what kind of laptop is that? You would think I'd have come across it in a thrift store by now.